This show was 1st in the global chill out chart, 3rd in the global downtempo chart, 3rd in the global lounge chart, 3rd in the global ambient chart and 5th in the global chillout chart. 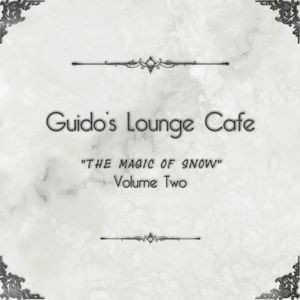 Guido&apos;s Lounge Cafe collaboration with Ecstasy records !! I tried to capture the winter scene how it unfolds for my eyes. Winter a time of cuddling up to each other on cold nights is a special time of the year for me. Also because it has Christmas and New year in it&apos;s grip. Capturing every snowflake in all it&apos;s beauty, I hope you feel the snow fall in every track. Great music to kick back to on a Thursday evening! Missed this comment.. sorry.. thank you!! Absolutely amazing! Look forward to the full album version! Thank you my friend, also to you and your family and friends a warm and happy New Year.. and I wish you a fantastic 2015!! "Happy 2015 New Year Shout-Out 2 One Of My Favorite MixCloud Dj&apos;s On this website&apos;!!!!....... #Superb Track Guido&apos;....."Bravo, Round Of Applause 2 U, Guido!! (CLAP, CLAP, CLAP!).. Just keep em&apos; comin aight&apos;?..... &apos;ill be waiting"??............#PEACE!! Thank you my friend...glad you liked it... wishing you a fantastic 2015!!! I keep them coming. you keep on listening :) !!!! what a nice surprise....I REALLY like this....Perfect! !